Product prices and availability are accurate as of 2019-04-20 12:38:43 UTC and are subject to change. Any price and availability information displayed on http://www.amazon.com/ at the time of purchase will apply to the purchase of this product. 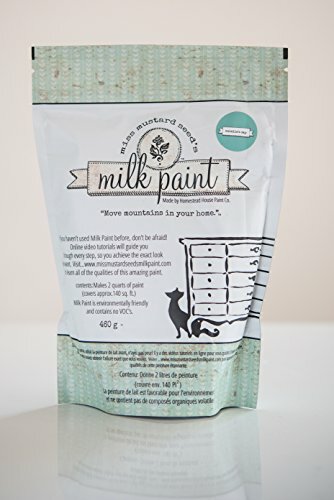 Miss Mustard Seed's Milk Paint is an environmentally friendly furniture and home decor paint that contains no VOC's and is easy to use. It mixes with water, and the amount of water used varies the consistency of the paint from a thin color wash to a thick textured paint. Use with MMS Bonding Agent when applying to previously finished surface.